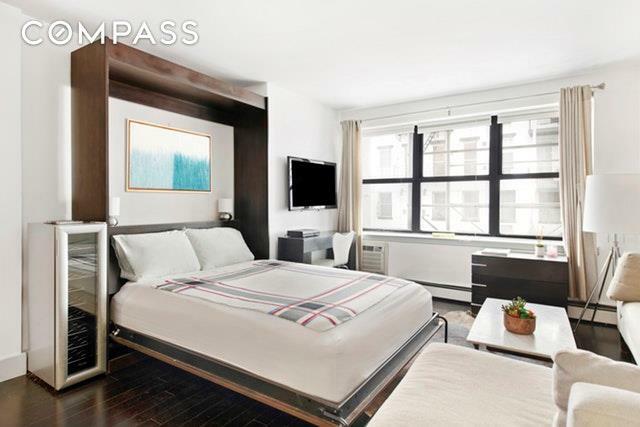 Located in a boutique building in West Chelsea, this perfectly sized south facing studio is a great place to call home. This smartly designed space has 5" ebony maple wood floors throughout. An open modern kitchen is outfitted with stainless steel appliances, marble counters and marble backsplash. 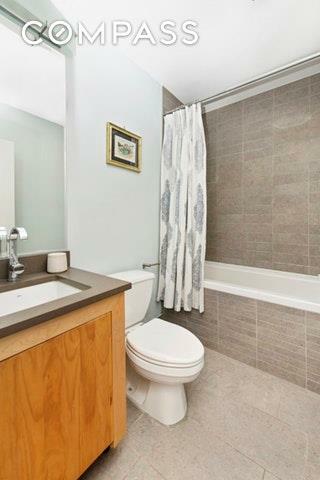 The bright luxury bathroom features a deep soaking tub and wide sandstone slate subway tiles. Through the wall a/c. 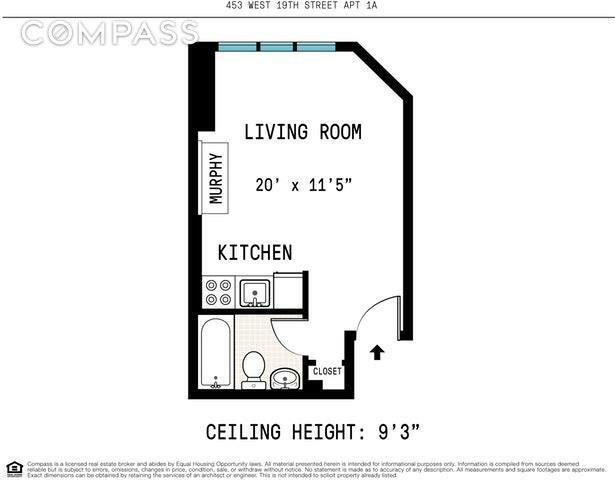 The living space is well designed with a sectional couch, wall mounted TV, and desk. There is a Murphy Bed that not only saves on space, but instantly transforms the home for entertaining! 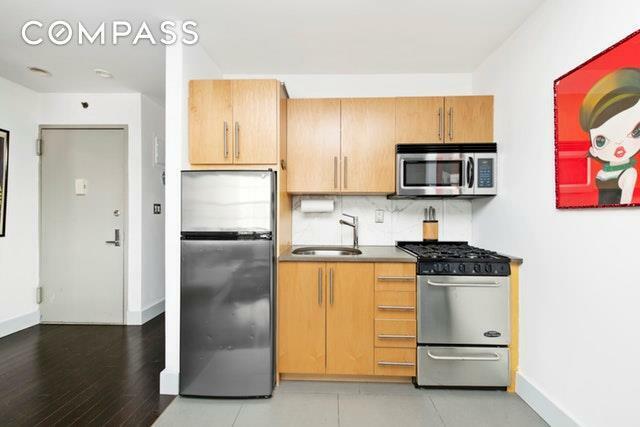 Located in West Chelsea, you'll have easy access to the Highline, Chelsea Market, Chelsea Piers, Hudson Yards, Meatpacking, West Village, the West Side Highway, art galleries, fine eateries, and so much more! This co-op permits pets, pied-a-terre, co-purchasing and gifting. Listing courtesy of Jamie Breitman of Compass.